March 1, 2017 – Mister Journalism: "Reading, Sharing, Discussing, Learning"
There is just so much to unpack about Betsy DeVos’s bonkers attempt to rewrite the story of Historically Black Colleges and Universities into an advertisement for school choice. They started from the fact that there were too many students in America who did not have equal access to education. DeVos has been justly and repeatedly slammed for this. See also here. Or especially this Slate piece. She chalked the HBCU story up to structural changes, but since she is personally as rich as all HBCUs put together, that rings a little hollow. And there’s a huge irony in that vouchers and charters became popular in the South as a means of escaping the collapse of Jim Crow laws. But I want to focus on one other aspect of this revelatory mess– what it says about DeVos’s “solution” for a twisted system, a system that is formally and deliberately unjust. Who needs to pursue justice when you can market choice instead? Who needs to address the systemic and deliberately underfunding of schools that serve non-white non-wealthy communities, when you can just market choice instead? If black folks show a little grit and get a charter or two, we don’t have to even talk about the real problem at all. DeVos has accidentally underlined the other problem with choice. Problem number one, discussed at length both here and elsewhere, is that choice doesn’t solve any of the problems that its fans claim it solves. But problem number two, in many ways more stealthy and more destructive, is that implementing choice lets some folks pretend that they no longer have to address any of the systemic issues in public systems. Is a major urban system screwing over its poor communities (say, perhaps, Chicago)? That’s okay– there are a couple of charter schools in place which students have “access” to (and which a handful of students will actually get to attend), so we don’t have to talk about the larger problems any more! Hooray! With American rhetoric on Iran again heating up, Iranian public opinion can bolster reporting. But polling data from authoritarian countries must be used with caution. Official American rhetoric about Iran is often bellicose. It has been for years, ever since Iranian revolutionaries stormed the American embassy in Tehran in 1979. Then, after the 9/11 terrorist attacks, George Bush named Iran in his infamous “axis of evil” speech. Relations improved slightly under Barack Obama, who oversaw a deal requiring Iran to scrap its nuclear program. Donald Trump has threatened to shred that agreement. According to Gallup, a pollster, in recent years Americans have regularly ranked Iran as one of their “greatest enemies,” right alongside North Korea. Republicans tend to take a more negative view of Iran than Democrats, though a December 2016 poll by the University of Maryland found 64 percent of Americans oppose withdrawing from the nuclear deal. What do Iranians think of America? It was, after all, American meddling in Iranian politics — starting with the CIA’s overthrow of the democratically elected prime minister in 1953 and then its support for the Shah’s brutal secret police — that set Iran on course for the Islamic revolution and its confrontation with Washington. The answer, of course, is that it depends how you ask. But what might surprise American journalists is just how developed and educated Iran is and how eager Iranians are for better relations. Iran has been badly hurt by Western sanctions in recent years, but by some measures, it ranks high for the Middle East in development indicators such as education and life expectancy. The Islamic Republic of Iran has an unusual political system, where the president is, nominally, elected by a popular vote (2009’s election was marred by significant fraud, say activists). Yet he is subordinate to the “supreme leader,” who is appointed by an opaque council. Ayatollah Khamenei, supreme leader since 1989, oversees the Revolutionary Guard Corps, a militia that has been implicated in extrajudicial arrests and executions in Iran. One tactic smart pollsters use in sensitive situations is to ask not what an individual thinks, but what he or she believes other people think. With those caveats, here are a few polls that may be useful starting points for writing about America’s fraught relationship with Iran. Alas, we could not find any quality time-series polls dating back to the revolution. If you know of any, please email me. A number of universities including Princeton, Cornell and the Center for International and Security Studies at the University of Maryland (CISSM) contract IranPoll.com — a Toronto- and Tehran-based pollster that works in Iran’s multiple languages — to survey Iranian economic conditions and attitudes toward foreign countries. In December 2016, Iran Poll and CISSM found Iranian support for the nuclear deal had declined from 42.7 percent in August 2015, just after it was signed, to 21.3 percent. Over 72 percent said Iranians’ living conditions had not improved under the deal. Over half said, “Iran has not received most of the promised benefits.” Optimism was also declining and over 70 percent believed Trump, who was president-elect at the time, would “take measures against Iran that are at odds” with the agreement. Over 31 percent named unemployment as the single most important issue facing Iran. An explanation of the findings is here. Iran Poll, which uses a nationally representative probability sampling method, manages VoxIran.com, an active database of Iranian opinions on over 3,000 questions. As is the case with most pollsters, much of its work is performed for private clients and is proprietary. 63 percent of Iranians wished to restore diplomatic relations; 27 percent opposed. 60 percent favored unconditional talks with the United States; 30 percent opposed. 77 percent had an unfavorable view of the U.S. government, down from 85 percent the year before, at the end of George W. Bush’s administration. 85 percent felt the U.S. government treats their country unfairly. 27 percent said they were completely free to express their views; 44 percent said they were “somewhat free”; 23 percent said they were not free. 38 percent favored developing atomic weapons and nuclear power; 55 percent favored only developing nuclear power. Parts of the report, which is available in hard copy in some libraries, are available here and here. Several other World Public Opinion surveys of the Iranian public are on its website. In 2000, 18.7 percent of men and 12.6 percent of women reported “frequently” discussing politics with friends; respectively, 28.8 and 24.2 percent reported “never” doing so. In 2000, protecting the environment was important to more respondents than economic growth. In 2005, the question was worded differently, but the economy was a greater concern. In 2000, 69.4 percent agreed with the statement, “when jobs are scarce, men should have more right to a job than women.” That number was statistically unchanged in 2005, at 69 percent. In 2000, more Iranians expressed support for army rule (67.3 percent) than for a democratic political system (55.2 percent). But in 2005, 64.2 percent called army rule “fairly bad” or “very bad” and 91.2 percent called democracy a “very good” or “fairly good” system of government. One of the most prominent Western pollsters operating in Iran is Gallup, which, like IranPoll.com, uses a mix of telephone and face-to-face interviews. Often the results are only available by subscription, which many libraries offer. The Gallup World Poll dates back to 2006 and covers dozens of variables — from what Iranians think of the U.S. government, to economic confidence, perceptions of corruption and access to healthcare and the internet. The percentage of Iranians who report smiling or laughing “a lot yesterday” has climbed steadily since 2006, from 53 to 73 percent in 2016. The percentage of people who report that religion is important in their lives has climbed from 76 to 86 percent over the same period. Iranians face a great deal of economic uncertainty. In 2016, only 7 percent reported being employed full time by a company (as opposed to self-employed), down from 14 percent in 2015. By comparison, in the U.S. the number is 44 percent. When this is indexed, Iran places 132 out of 142 countries; it ties with Somalia and Yemen. As far as overall economic confidence, Iran is somewhere in the middle of the global pack (51 out of 141). But use this finding with extreme caution: Residents of Uzbekistan — one of the former Soviet Union’s most repressive dictatorships and backwards, kleptocratic economies, according to the U.S. government — have the greatest economic confidence in the world. Unemployment is so high in Uzbekistan that millions of people leave every year to take the most difficult and poorly paid jobs Russia has to offer. In 2008, before the 2009 election crisis, Iranians were slightly more likely (50 percent) than Americans (47 percent) to express confidence in their electoral process. By early 2015 — a year after the West began easing sanctions during nuclear negotiations with Iran — fewer Iranians were reporting that sanctions were negatively affecting them. The Harvard Kennedy School library maintains this list of American and global opinion polls, while the Boston College library keeps this list of international polls. A 2013 poll by the Pew Research Center found 69 percent of Americans held a negative view of Iran, as did 59 percent of adults in 39 disparate countries. Only 11 percent of adults in those countries felt that Iran’s government respects its citizens’ personal freedoms. Between 2001 and 2006, the number of Americans viewing Iran as their country’s “greatest enemy” jumped from 8 percent to 31 percent, according to Gallup. George W. Bush gave his “axis of evil” speech in early 2002. Polling Report collates prominent surveys of American opinion on Iran here. The RAND Corporation — a think tank close to the U.S. defense establishment — conducted a poll shortly after the contested 2009 election as well as this one that uses social media to gauge public opinion. The Gulf2000 project at Columbia University is a useful entry point for scholarship on the Gulf states, including Iran. Another academic resource is the Iran Data Portal at Syracuse University. The University of Maryland has more on Iranian opinion throughout the nuclear negotiations. The National Iranian-American Council and the Public Affairs Alliance of Iranian-Americans are two advocacy groups run by Iranians living in the U.S.
Author’s note: Special thanks to Keely Wilczek, senior research and instruction librarian at Harvard Kennedy School, for her dogged help unearthing sources. The issue: Google, eBay, Tesla, Yahoo. These and many other quintessentially American tech companies were founded by immigrants. But since President Donald Trump won office on a platform to reduce immigration, programs that bring foreign workers into the United States are under scrutiny. One of the most competitive programs is the H-1B visa. Applicants must be highly qualified individuals (computer scientists, engineers, medical researchers and fashion models “of distinguished merit or ability”) who are sponsored by an American employer and who do not plan to immigrate permanently to the U.S. The program allows workers to stay up to six years. According to the most recent data from U.S. Citizenship and Immigration Services, 65 percent of H-1B visas granted in fiscal year 2014 went to workers in computer-related jobs. Over half of those workers had advanced degrees and 72 percent were between the ages of 25 and 34. In recent years, the U.S. government has received well over 300,000 H-1B applications annually; as mandated by Congress, it issues 85,000 a year, often by lottery. Critics allege the H-1B program allows U.S. firms to hire talent at lower rates, depressing the wages of qualified Americans. The program may even move jobs overseas by training H-1B visa holders who then return home where they are hired by American firms outsourcing jobs. A new study suggests that the story of immigrants’ impact on American jobs mirrors the broader story of free trade and globalization: For Americans, wages fall because of the increased competition. But Americans also enjoy access to cheaper goods. An academic study worth reading: “Understanding the Economic Impact of the H-1B Program on the U.S.,” a working paper for the National Bureau of Economic Research, 2017. Study summary: University of Michigan economist John Bound and his team look at the recruitment of foreign-born computer scientists during the dotcom boom between 1994 and 2001, a period when the share of computer-related H-1B visas grew rapidly, according to government figures. They investigate how this influx affected the market for computer scientists and overall economic productivity. They develop a general equilibrium model of the U.S. economy during these years “to estimate how the increasing share of foreign high-skill workers affects the welfare of different types of workers, firms and consumers.” By restricting immigration in their model to 1994 levels, they look at how wages, employment and output would have changed over the subsequent seven years without new foreign specialists. Without these H-1B visa holders, under the authors’ model, American computer scientists in 2001 would have earned between 2.6 to 5.1 percent more. Plus, between 6.1 and 10.8 percent more Americans would have worked in computer science. The increase in H-1B workers in the 1990s raised profits in the IT sector, under the authors’ model. It increased the output of IT goods between 1.9 and 2.5 percent and decreased prices by 1.9 to 2.4 percent. These profits and increased productivity should have raised wages. But competition from the H-1B foreign experts depressed wage growth. If the program were ended, the authors warn, American firms would likely respond by moving such jobs overseas. The authors emphasize that policymakers must find a balance where curtailing immigration does not hurt the U.S.’s position within the global economy. U.S. Citizenship and Immigration Services explains the requirements for an H-1B visa on its webpage. It also issues reports on the program each year to Congress, including one on the different petitions it receives for H-1B visas and one on the characteristics of visa recipients. Fortune has listed some of the tech companies founded by immigrants or first-generation Americans. A 2015 study in the Journal of Labor Economics estimated that between 30 and 50 percent of U.S. productivity growth between 1990 and 2010 was generated by foreign STEM (science, technology, engineering and mathematics) professionals, many on H-1B visas. One of the authors of that paper wrote in the Wall Street Journal that H-1B engineers and scientists added $615 billion to the economy over those years. This 2015 working paper by a scholar at the University of Notre Dame and colleagues compares firms that win and lose in an H-1B lottery. It found the presence of H-1B visa holders reduces wages and helps a firm profit, but does little to increase a firm’s patent applications. In 2006, the Congressional Budget Office examined the evolution of American immigration policy. Texas GOP Senator Don Huffines is a huge fan of choice systems, and does his best to shill for them. But he ran into a rough time trying to pitch them to 7-12 grade students at Richardson ISD on, of all things, Texas PTA Day. While the policy was right, Senator Huffines’ tone and delivery today did not live up to the level of civil discourse that he always expects of himself and others. Senator Huffines is unapologetic in his support for education choice, because it’s a policy that supports students. He will not hide from passionate or heated debate on the issue. Where other politicians might have run, Don Huffines stayed and endured the ambush-style attack, then calmly answered more questions for 15 more minutes, including questions from students. Yes, just like an ambush. You have to watch those wily middle school students. No doubt many students at Richardson are on that protestor payroll, raking in $1,500 a week to complain about GOP policies (and making more money than their teachers in the process, which means the all-powerful teachers union must be really falling down on the job– honestly, it’s a wonder that many of these global liberal conspiracies don’t fall apart more often). What did this terrible ambush entail? 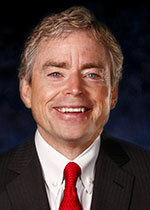 One students pointed out that that Huffines’ proposed voucher for students would not cover the cost of many of the higher-priced private schools. A parent questioned the use of public tax dollars for a private school. You can see Huffines on a video taken by one of the parents and posted at this news outlet. He paces back and forth, talks angrily, stabs forcefully at the table top with a finger. Huffines is a real-estate developer who won office in 2014. He has received 100% ratings from Americans for Prosperity Texas, Texas Values, and Texas Eagle Forum, and his stated goal is to “achieve unimaginable prosperity through limited government so we may cherish our liberty that God alone has bestowed upon us.” Nowhere on his website is there anything about hectoring children who dare to ambush him with ideas that disagree with his own. On late Tuesday afternoon, people started to gather at the Calder Plaza in Grand Rapids for another action promoting immigrant justice. The action today was on the heels of a February 16 march that began on 28th Street near division and even though today’s turnout wasn’t as big, the energy level was high. Before the march began there were several speakers with stories about family members being deported and a DACA student’s inspiring message. Organizer Gema Lowe, with the Workers Center in Grand Rapids, also led people in chants, talked about upcoming actions and made it clear to those present that this was a movement that was growing. The march departed from Calder Plaza and made it’s way north on Ottawa towards Michigan. There were several large banners used by the marchers, along with signs and the use of a megaphone to lead everyone in chants. Source: Difficulties When Combining Multiple Teacher Evaluation Measures | VAMboozled! “I wanted to shake her, like I like to shake my wife.” Gary Naeraert is the Executive Director of the Great Lakes Education Project (GLEP). 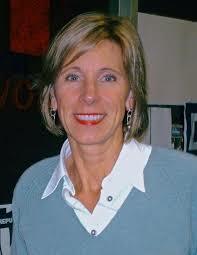 GLEP was founded and largely funded by U.S. Secretary of Education Betsy DeVos to influence policy and law in Michigan with the aim of promoting charter schools and the elimination of traditional public schools. The group consists of a PAC, a foundation, a 501(c)(3) group, and a 501(c)(4) group. While giving testimony before a Senate Education Committee meeting yesterday, Naeyaert revealed that he likes to “shake” indecisive women, including his wife. It was an astonishing moment: https://www.youtube.com/watch?v=rdSIDls2HT0 He was referring to the head of the State School Reform Office, Natasha Baker, a Snyder appointee, someone he’s clearly frustrated with. “I wanted to shake her, like I like to shake my wife.” Fortunately for Baker, Naeyaert would go to jail if he assaulted her in this way.